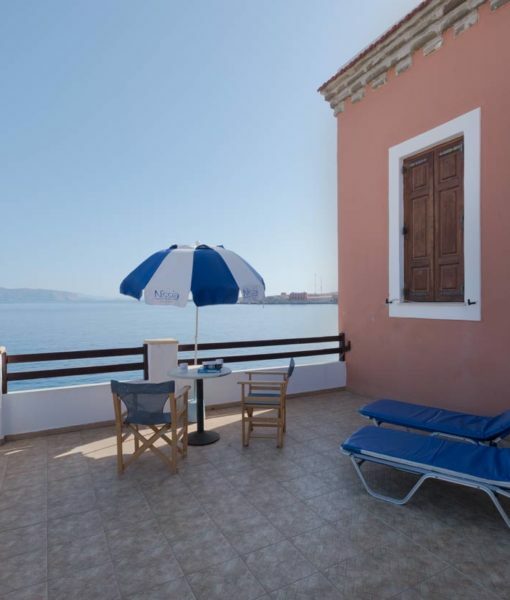 Weekly rates for Villa Plousa start from £ 650 total, depending on selected dates. 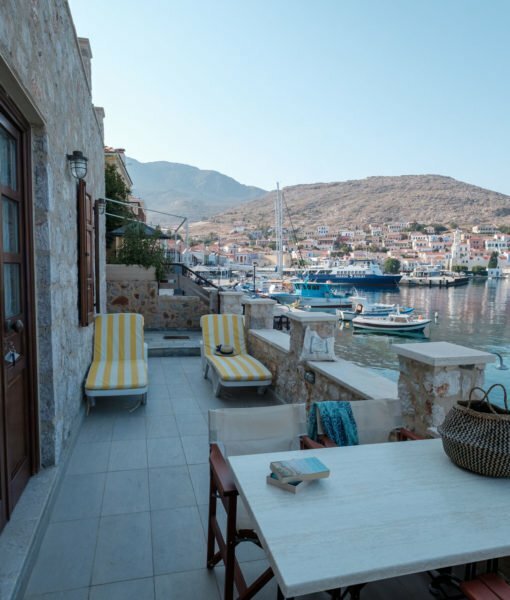 Villa Plousa is a fully renovated for 2019 villa in Halki. 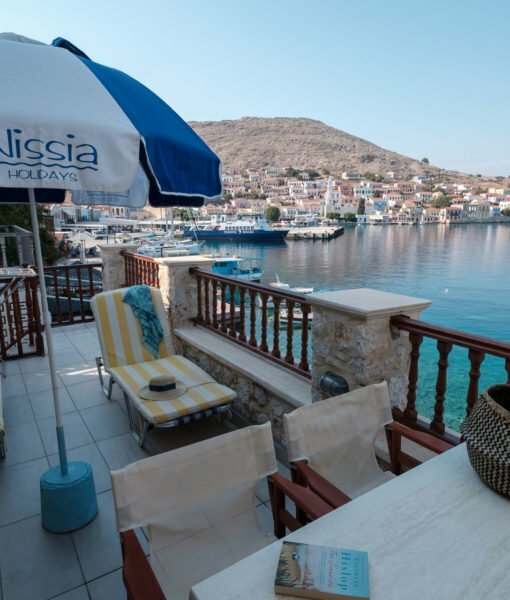 Located Just two layers back from the waterfront, this 2 bedroom villa has a lovely, private, spacious terrace which runs across the front of the villa with amazing sea views. Inside, the villa has been beautifully furnished. The main door leads into the kitchen and dining area. There’s a good sized separate tiled bathroom. The villa has 2 good sized bedrooms. 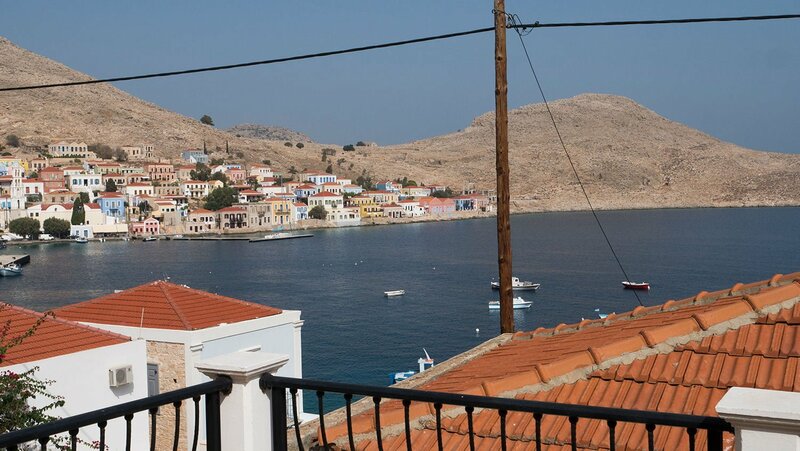 Not far from the villa, a pathway leads down to steps where you can swim in the gorgeous crystal water.